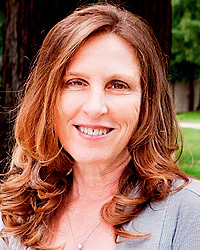 A family coach, motivational speaker, and certified special education teacher, Susan specializes in effective parent-child communication, behavior management, and helping families navigate through divorce, remarriage, and step-parenting. Over the years, she has taught behaviorally challenged teens, operated home-based preschools, and managed crisis hotlines for parents and teens. Susan has presented dozens of parenting workshops at Parents Place, including “Tantrum Taming for Toddlers and Twos,” “Connecting with Your Child Every Day,” and “Setting Limits—Raising Responsible Children through Choices and Consequences.” Susan is the author of Real Parents, Real Kids, Real Talk, and received her bachelor’s degree in education from Illinois State University.